This is a nice mid-priced hotel although view rooms are limited and in the backside upper floors. However when it comes to convenience and proximity to Mall (i.e. the main town center), then this hotel can score quite high. It is located on Robertson Road which is a fairly congested street going down from where Gandhi Road ends (i.e. from lower Club Side taxi stand). From the taxi stand the hotel is 2 minutes walk and surrounded by plenty of stores and eateries. The Mall is another 5-6 minutes uphill walk from the hotel. The shortest route to the mall is through the Bhutia market which sets up on both sides of a narrow lane. Sonar Bangla as the name suggests is a Bengali name which means 'Golden Bengal'. As you may anticipate, it is owned by a Bengali who has also built several such hotels with the same name in several locations in and around West Bengal. Cars or taxis can drop you right at the entrance. The hotel entrance is right on the road. So unlike many other hotels in Darjeeling which are located in vehicle restricted areas requiring guests to walk with luggage from the nearest taxi stand, here you can take your car right up to the hotel entrance. As walk into the reception lobby, there is a fairly large and impressive lounge. The reception staff are courteous and quite efficient completing formalities. While all staff in the hotel are friendly, during high season when the hotel is full and demands are high, the service can sometimes degrade to irritable levels. 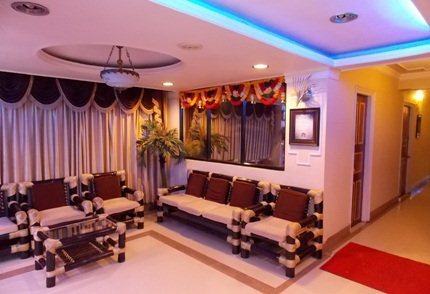 Coming to rooms, there are several categories of rooms that are spread across five floors. Room types include standard, deluxe double & triple, super deluxe double & triple, Duplex Suite (on the top floor) and even four and six bedded rooms. But basement rooms are probably the worst. While the duplex suite is quite nice with sitting room below and bedroom above, you will need to climb down a wooden staircase from the bedroom to access the bathroom. And at night, this can be a trouble. The rooms are however well furnished. Some (in the top floor) are fully wood paneled with slanted ceilings and are obviously the costliest ones. Rooms have cable TV, direct dial phone etc. Attached bathrooms have geysers so that you get constant hot water. If you require rooms heaters, they are provided at extra cost. As I mentioned earlier that most rooms in the hotel do not have mountain views. Try to avoid the rooms facing the road, it can get quite noisy due to passing traffic and also dogs barking at nights. The back side rooms of upper floors (4th and 5th) have nice views of the valley and mountains. But one disadvantage in this hotel is it does not have elevators. You will need to climb the stairs to reach your room. Breakfast is included in the room tariff. The restaurant is at the ground floor and at one end of the lobby and next to the stairway. The restaurant is quite large and meant only for in-house guests. You will mostly get Indian and Chinese food although the menu also has Continental dishes. Food is quite okay although menu is limited. There are lots of restaurants within easy walking distance, so you won't have problems with food. This is a nice hotel, clean and rooms with standard amenities. 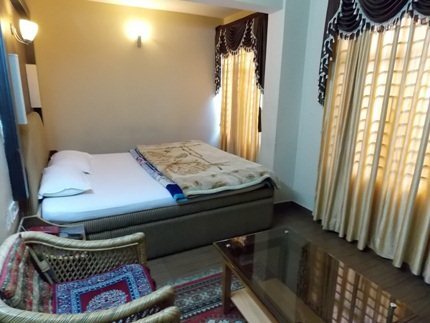 The rooms and the facilities are well maintained. The dining hall I thought is a bit dark and lacking proper illumination to make it lively. The food is okay but limited in menu. Hotel is located some 5 minutes walk away from the Chowrasta Mall although most part of the walk would be uphill. The location is very convenient and cars can drop you right at the entrance. There are plenty of shops of all kind and eateries around. Mountain view rooms are limited and are on the backside at upper floors. Not having lifts can make it difficult for seniors or those having walking problems. Considering everything and tariff, this is a decent value for money hotel. 1/1, Robertson Road, Darjeeling. Phone: (0354) 2258369,+91 7407060480. You can also book through their sales office in Kolkata. Located near Park Street Metro, Kolkata - 700 071. 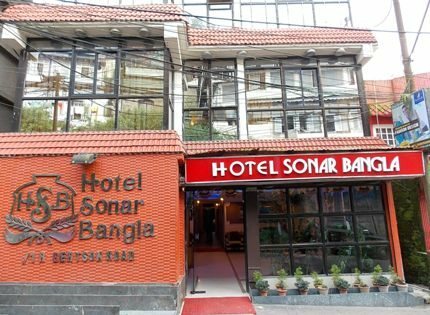 My 2 days visit to Darjeeling at Sonar Bangla Hotel was very pleasurable, comfortable and memorable. The Hotel is Excellent. Hotels staff and management are very cordial, all time attended the customers to help. Restaurant is also quite exceptional, particularly buffet in morning breakfast. I personally recommend this hotel.